For those of you who are worried about the extravagant life, there is one way that you can do to combat your anxiety is by entering the presence of God, meditate on God’s grace and goodness in your life, because God’s word in Psalm 63:3 says: Because your love is better than life. By reflecting on the love and goodness of God then you will see how God’s love that makes us alive to this day so that is still a reason why we should give thanks in all circumstances. The truth is that without the grace of God, we will not be able to have a life, even though we seem are running an activity in life. Know that a life without God’s grace will be very fragile and easily destroyed. Although at this time of your life as if at a standstill, like a ship that is hit by a storm and blindly tossed by the waves of life, but if you still have the love of God in your life, the love of God that will provide a solid life on a firm faith by hope to God that makes us always have peace. It also make you will never are despair and never give up on life because in His grace, God gives life which must be responsible to maintain our lives completely. Know the truth revealed is also a King David in Psalm 37:25, “I was young and now I am old, yet I have never seen the righteous forsaken or their children begging bread.” Over the life of David, which was formed by a number of issues, King David had never seen the righteous, who had the grace of God became a beggar because of falling into poverty. But by the grace of God they will live in abundance so that they can be a channel of blessing to others. “23 The steps of a good man are ordered by the Lord, And He delights in his way. Reflect the love and goodness of God every day, then it will make you understand how you will be grateful for all that God has bestowed on you. God must be responsible for maintaining our lives completely. When you are on a playground, you will feel the atmosphere cheerful and vibrant which can make your soul rejoice. Take a look, what can make you feel happy and joyful? The atmosphere and environment factors purposely make cheerful with beautiful buildings made with cheerful colour and also completed with music which designed to be vibrant and is played continuously, which will make you have a feeling like that. When our eyes see something beautiful and our ears hear something good, then our souls will rejoice and be glad when we are rejoicing, then our physical activities will be more relaxed and lighter. But when our eyes see the storm of problems, shock, and our ears hear the bad news then our souls become anxious, restless hearts, minds and physical activity become tense and depressed. 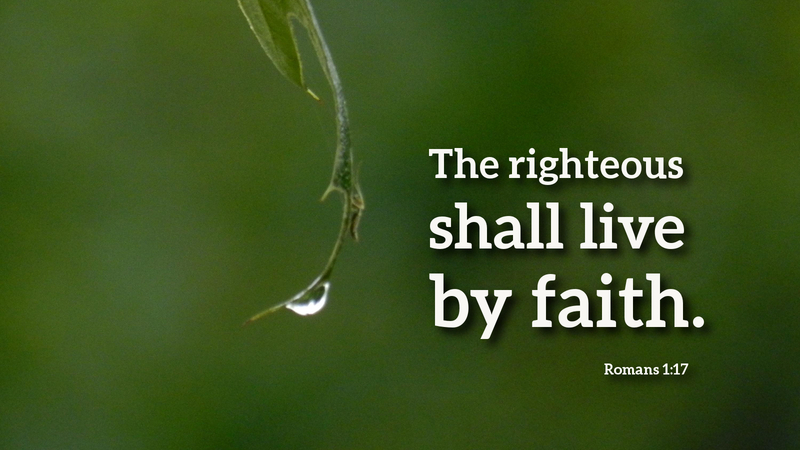 If we are not careful then our faith will become dry and die. Both of these senses are widely used by the devil to indict and accuse us of throwing human into a sin of lie that is shackled human life away from Go and even blame God. Therefore, it is important to have the presence of God’s Spirit in our lives so that we can see by His eyes that we worship our God in Jesus Christ is God’s infinite. 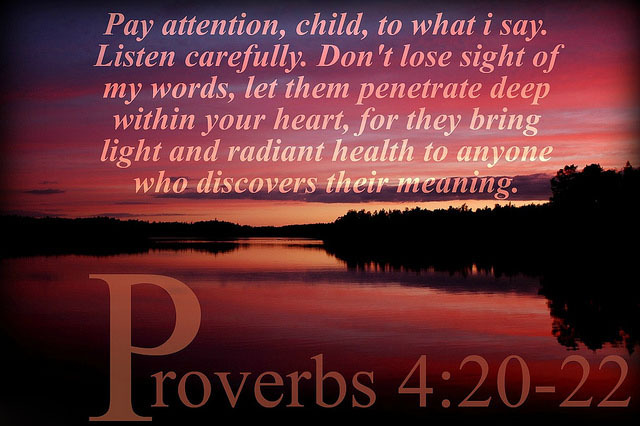 We will have a sensitive heart to hear the voice of God that will lead us through the path of truth and life despite the danger of our surroundings. Able in God’s presence and always welcome God’s presence wherever you are, so the oure joy and peace are not affected by the situation will flow into your life. Keep your eyes and ears to things that trap you. When I accompany and teach children to learn, I just need an eraser. While my son holds on a pencil to write down the answer and question sheets to be learnt. For me the questions that will be studied are so easy, just by my eyes I am able to answer all of them without having to think. But for my son, the problems are so complex that it requires concentration and time to complete. In the process of learning, I have to correct a couple of times by mistake and delete it so that my son can write down the correct answer. Similarly, our Lord, for He is not a difficult, he knew the answer even before the question appears. While human life as the operator give the right to run it in full, and of course we know that life would be called to live if there is a problem for us to be conquered. But too often in handling issues too often we rely on our own strength and often strayed from the path of God and the good times with a love that is too large to imagine, God remove all our transgressions. In fact, because of His love, god did not question how much He had to remove our transgressions and sins so that we really are true before Him. And if we are true before God in God’s own righteousness calculation, so as the life of Abraham (the abundant blessings and hope when God takes into account what did Abraham do as righteousness) then whatever we will do to be blessed by God to always be successful and prosper, and God will give new hope always is the Word of God which is never in vain as the lamp and the light that will guide our lives. When you’re going the wrong way, soon came to the Lord, He will remove our transgressions, and replace it with the truth. 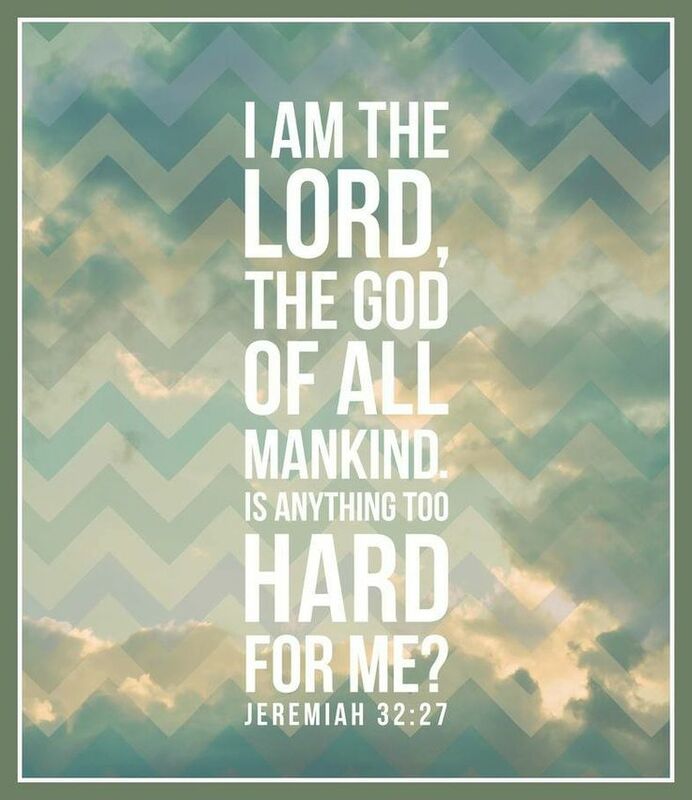 For with God nothing is too difficult. Often during prayer, we need something to control the mind, hearing, and feeling. The purpose of the heart is to pray but distractions to remember what happened in the morning and imagine what will happen tomorrow and the ear suddenly becomes sharper in listening to what is happening around. 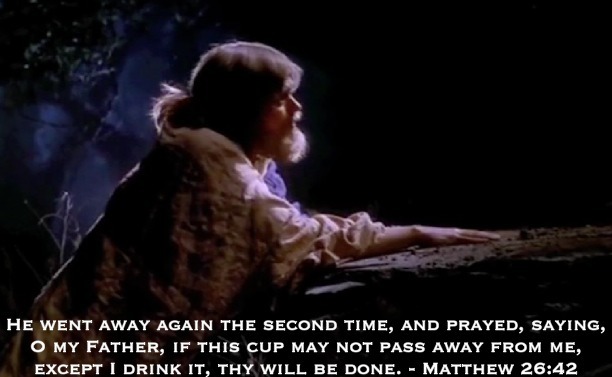 The attitude of prayer like this would not be useful except as a form of proof to others that I am a devout person. But when you pray, go into your room, close the door and pray to your Father who is in secret. Then your Father who saw the hidden will repay you. (Matthew 6:6). For within a closed room we are isolated from the surroundings so what we focus more on God. 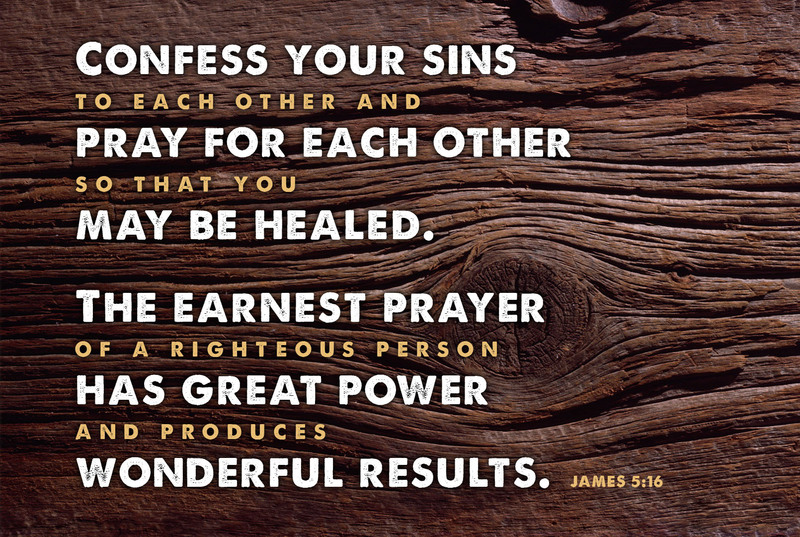 Many miraculous healings occur when true prayer and earnestly uttered by the righteous, and in each of the righteous, the Spirit of God abides in him/her. Therefore when you pray, produce a quality pray that has an effect, not a lot of prayer and long but useless. 5 “And when you pray, you shall not be like the hypocrites. For they love to pray standing in the synagogues and on the corners of the streets, that they may be seen by men. Assuredly, I say to you, they have their reward. 6 But you, when you pray, go into your room, and when you have shut your door, pray to your Father who is in the secret place; and your Father who sees in secret will reward you openly. 7 And when you pray, do not use vain repetitions as the heathen do. For they think that they will be heard for their many words. Our Father in heaven, Hallowed be Your name. 10 Your kingdom come. Your will be done On earth as it is in heaven. 11 Give us this day our daily bread. 12 And forgive us our debts, As we forgive our debtors. 13 And do not lead us into temptation, But deliver us from the evil one. For Yours is the kingdom and the power and the glory forever. Amen. Standard Christian prayer is a pray that look at God’s protection. Making a decision is a part of human life. Therefore, Satan users this to insert anxiety, indecision and fear of mistakes in making decision. Therefore it is not surprising that every day of our lives will be filled with pressure starting from waking up in the morning until to sleep again. Our God is a God who cares about our situation, therefore, every day God says through His word, “Be not fear, I will help you.” (Isaiah 41:13). When God holds our right hand and God will make His love is always new every morning. With a new love every morning, He will guide us with His presence enables us to walk through the waves / dynamics of life. 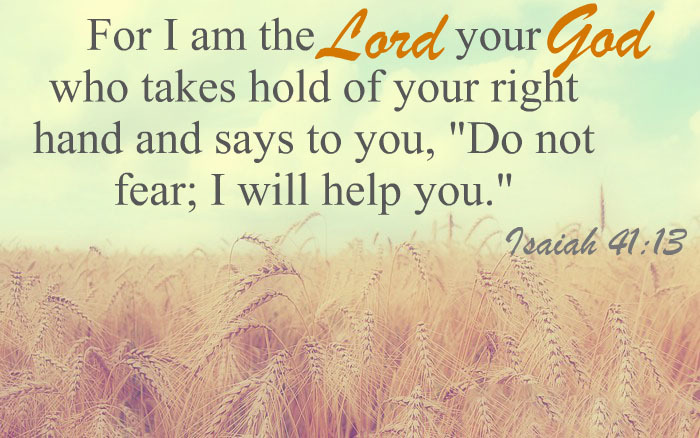 Although we have to go through the valley of darkness of the issues, with His love too, He will hold our hands and lead us to fly high over any kinds of issue. Therefore, if the big God is with us, no problem too big that we cannot face. No problem is too complicated and complex, which cannot be completed because God is greater than anything that will give us clues early, of what we should do. That the hand of the Lord has done this, And the Holy One of Israel has created it. Remember, He is always with you, his rod and stiff are always with you. If you are experiencing worry and fear, hear the word of God, “Do not be afraid!” Then He will reconcile your heart. Three years ago my business was good until I forgot that a crisis may occur. I really was in a comfort zone that made me to fall asleep and when I was aware, 70% of my business has been eroded by the crisis without I could able to do anything about it. I am currently in the middle of rearranging and rebuilding efforts from the beginning with a lot of relying on divine intervention. Unconsciously, the desire to experience glorious moment in the past, my heart and my mind is always trying to remember the past and hope it will happen soon. But God clearly give a warning to me that the glory of the past is not the purpose of life and the failures of the past is not the end of everything. Together with God, my future will be much higher, more gracious, more successful than any triumph I have ever experienced in the past. We can idolize the triumph of life as a life goal, but rejects the Lord to lift us to a life the maturity faith. We will be small Christians who just want to be fun. We can count all the way and justifies any means in order to regain its past glory. We can be jealous and envy to others who are more successful and become a stumbling block for others. 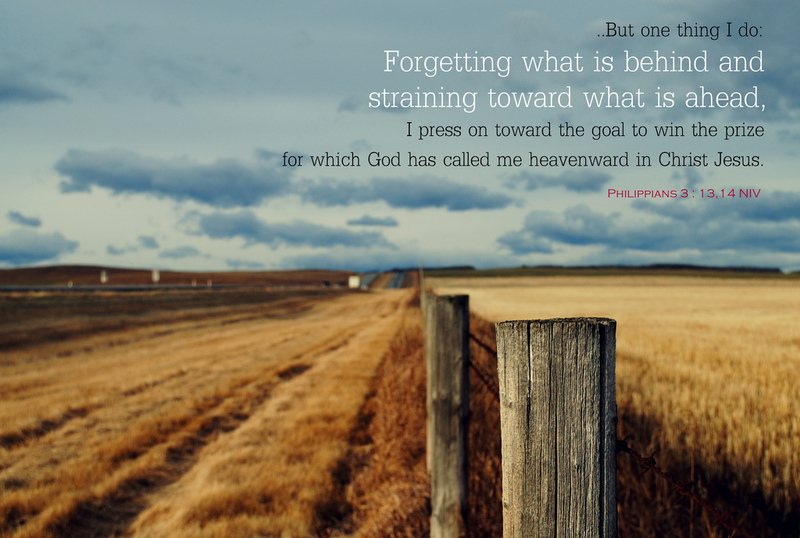 Because it is so dangerous to live in the memory of the past will know that God is not in the past that He would never care about our past. But He was deeply concerned the present and out future. For He who knows and hold our future and for our future, He was willing to die for human so that human can get a bright future and a hope. If we continue to remember our past, then we will live in the past and will prevent us from seeing the future. The prayer Our Father is the prayer that is very simple. What Jesus taught in the Our Father prayer is for us to surrender to the will of God because God is the best on earth as in heaven. Furthermore, it’s God’s will to be done all what we need, even God will give everything that we have never thought, we have never imagined and we have never heard of. Compliance and obedience is a decision that can be taken by anyone, including us, based on what we believe and have faith. If we want to be faithful and obedient to God’s will, then we will be awarded by the love and favour of God that will make everything that we do successful. 4 Let each of you look out not only for his own interests, but also for the interests of others. 5 Let this mind be in you which was also in Christ Jesus, 6 who, being in the form of God, did not consider it robbery to be equal with God, 7 but made Himself of no reputation, taking the form of a bondservant, and coming in the likeness of men. 8 And being found in appearance as a man, He humbled Himself and became obedient to the point of death, even the death of the cross. 9 Therefore God also has highly exalted Him and given Him the name which is above every name, 10 that at the name of Jesus every knee should bow, of those in heaven, and of those on earth, and of those under the earth, 11 and that every tongue should confess that Jesus Christ is Lord, to the glory of God the Father. Jesus, who is God, willing to humble Himself and became obedient unto death for the sake of obedience to the Father, what about us? Learn to obey God’s word to all. Obedience of Christ should be an example for us to do no matter what Christ did which is the obedience to God’s word.